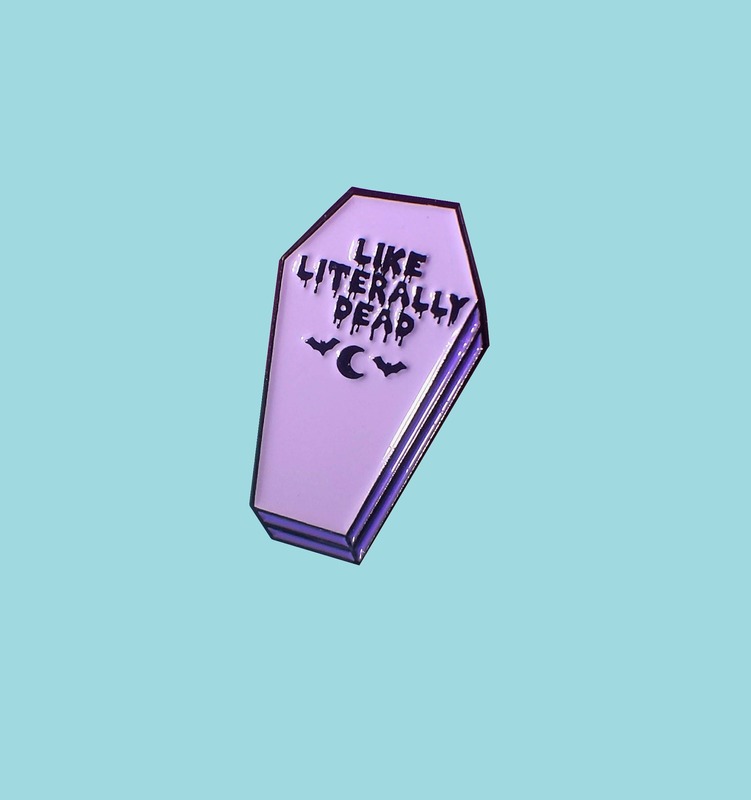 Like literally you NEED this pin in your collection. 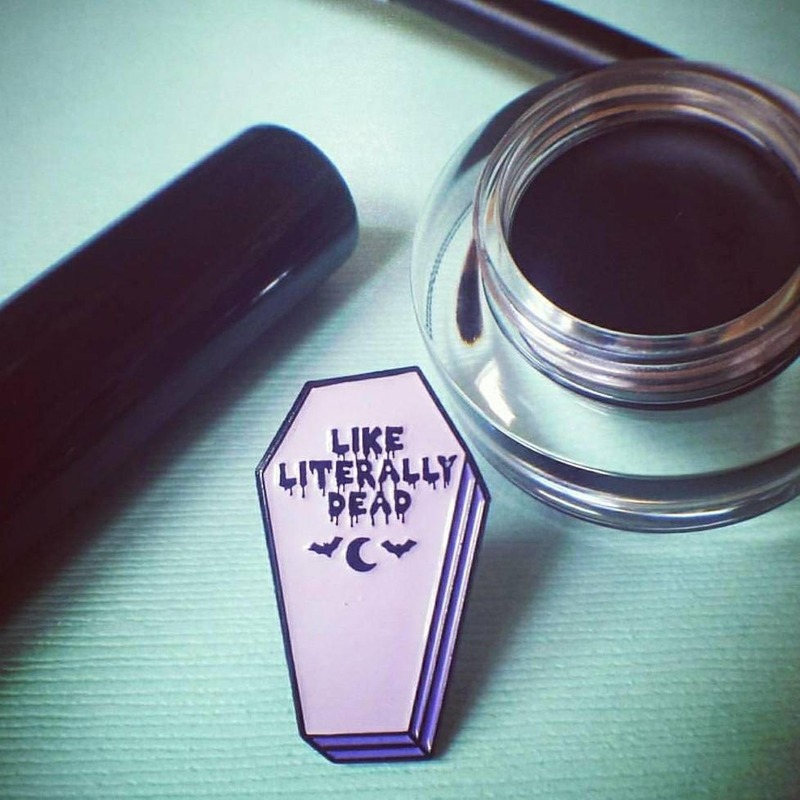 Pastel purple soft enamel coffin pin 1" tall with black metal finish. Grade B: Minimal flaw/s like paint imperfections or scratches.